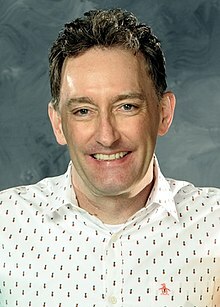 Thomas James Kenny, noto come Tom Kenny (Syracuse, 13 luglio 1962), è un doppiatore, attore e comico statunitense. (EN) Tom Kenny (musica per videogiochi e anime), su VGMdb.net. (EN) Tom Kenny, su Anime News Network. (EN) Tom Kenny, su Internet Movie Database, IMDb.com. (EN) Tom Kenny, su AllMovie, All Media Network. (EN) Tom Kenny, su Internet Broadway Database, The Broadway League. (EN) Tom Kenny, su Behind The Voice Actors, Inyxception Enterprises. (EN) Tom Kenny, su Discogs, Zink Media. (EN) Tom Kenny, su MusicBrainz, MetaBrainz Foundation.